← Chetwynd, Canada. June 26th, 2011. 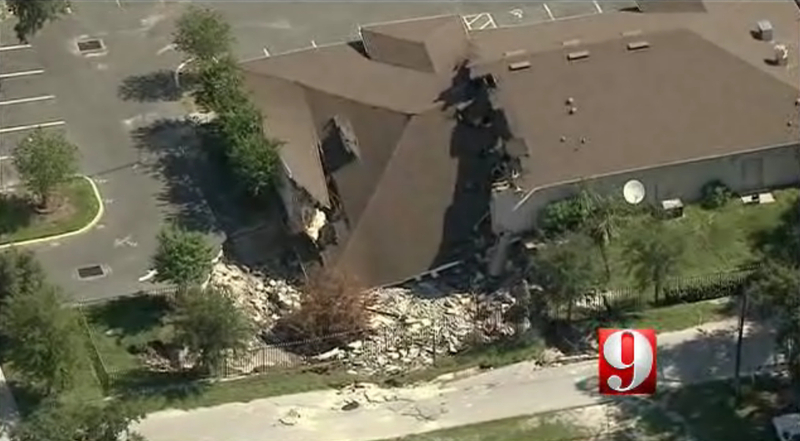 A sinkhole devoured a chunk of a commercial building and a sliver of a residential street near the city’s downtown today, forcing officials to close two small businesses for fear the hole may widen. “It looks like a big dog came and bit off the southwest corner of the building,” said Robert Sargent, public-outreach coordinator for Leesburg, where officials shut Crosby Street at East Street. 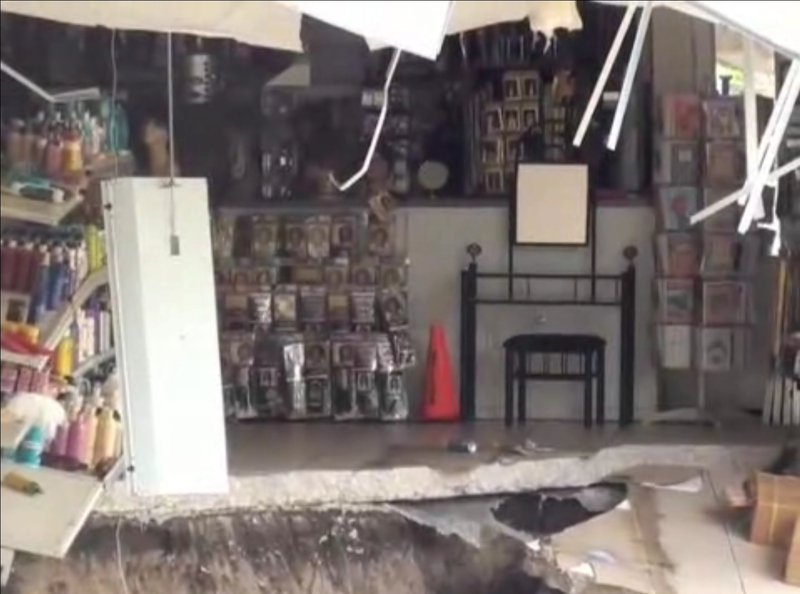 Heavy rains after a drought often trigger sinkholes, and the earth collapsed behind the Main Street Hair and Beauty Supply about 1 a.m. following a torrential downpour during an extended dry period that prompted Lake County to impose a burn ban. 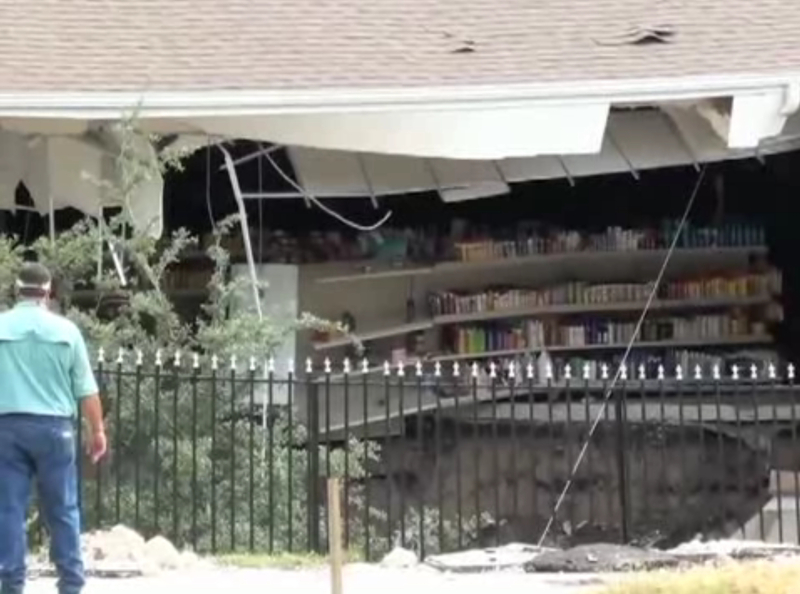 Estimated at 60 to 70 feet wide, the sinkhole gulped a dumpster, an oak tree, the back wall of the building and racks of supplies from the salon including hair weaves and other products from a storage area. Part of Crosby Street also fell into the hole. 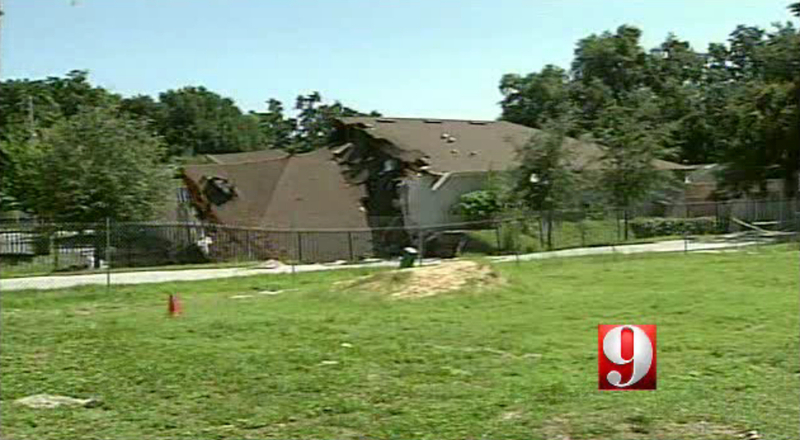 Officials weren’t sure of the sinkhole’s depth. 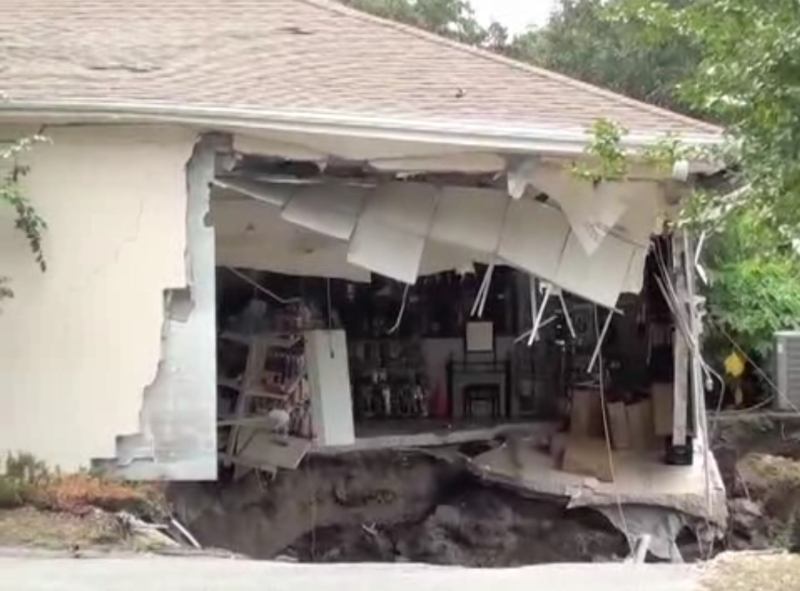 Sinkholes are natural features in Central Florida’s landscape, occurring when layers of sand and clay collapse into cavities in the underlying limestone bedrock, said Frank Rupert of the Florida Geological Survey. Rupert said cavities in the bedrock are created over time by acidic groundwater percolating through the earth and, as the rock formations dissolve and underground spaces open up, they can no longer support the land above it. 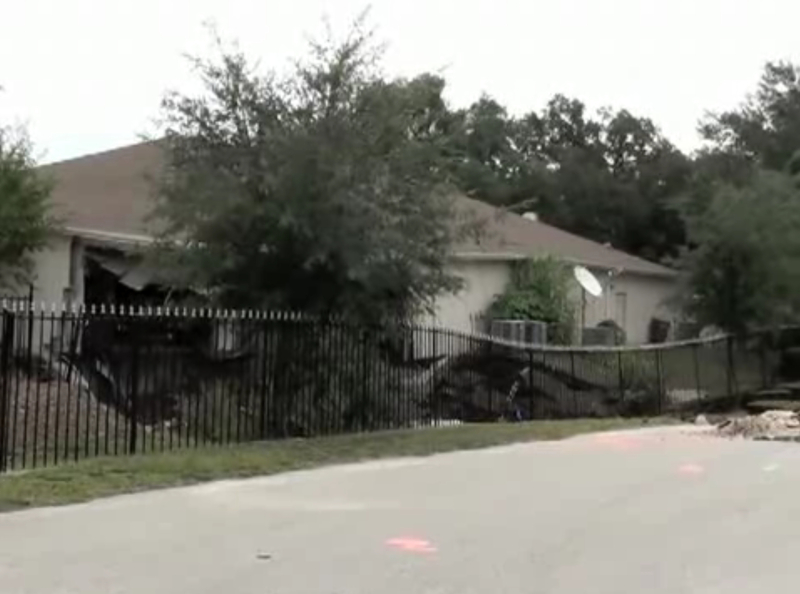 Since 1954, more than 3,100 sinkholes have been entered into the Subsidence Incidence Database kept by the Florida Geological Survey. The figure represents only sinkholes reported since the database was established. 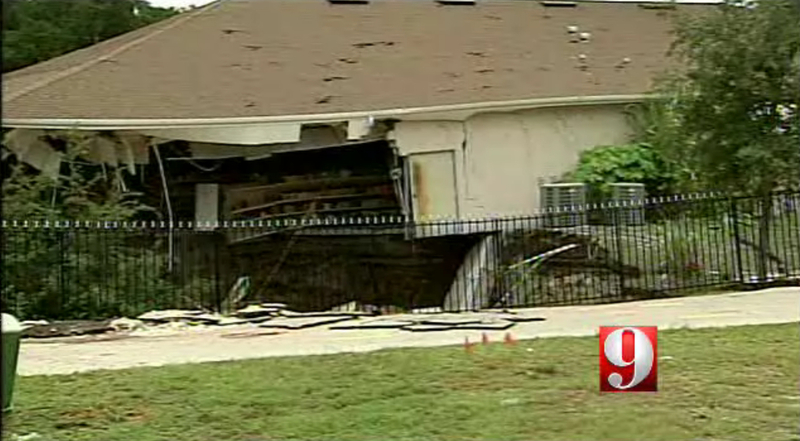 The sinkhole damaged the building that houses the beauty salon and the Saaraa Corner Store, which was forced to close. 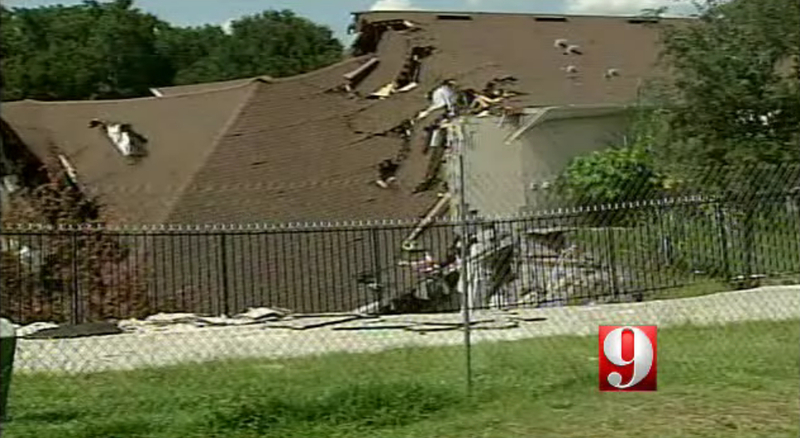 It was valued at more than $200,000, according to the Lake County property appraiser’s website. “The most important thing is nobody was hurt,” said Rafeek Mohamid, 52, who owns the building and the beauty salon. He has been in business in the Leesburg area for 17 years, the last six at the Main Street site. 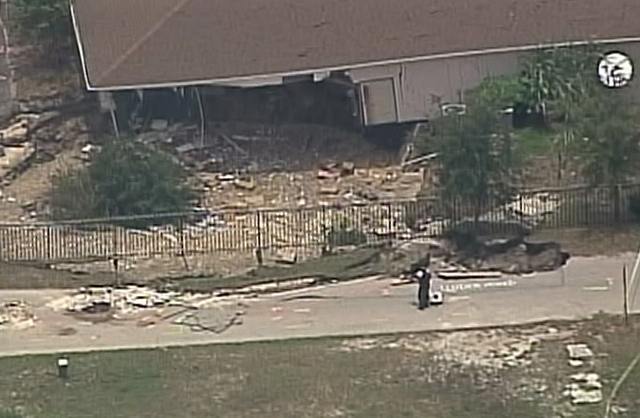 A water line was broken but none of the other neighbors were without utilities. 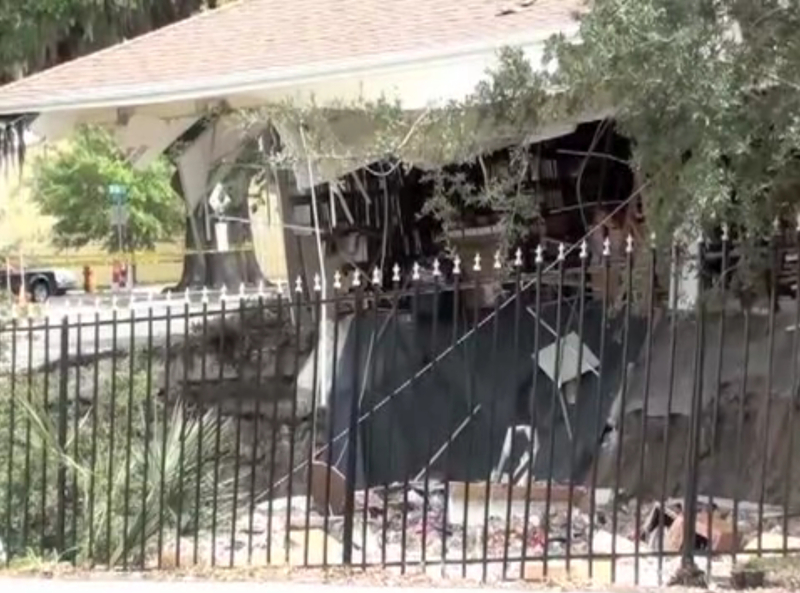 This entry was posted in Pictures, Structure v Sinkhole and tagged Crosby Street sinkhole, Florida, house collapse, huge sinkhole, Lake County Florida, Leesburg, sinkhole v house. Bookmark the permalink. 1 Response to Leesburg, Florida. June 27th, 2011.